Here it is. 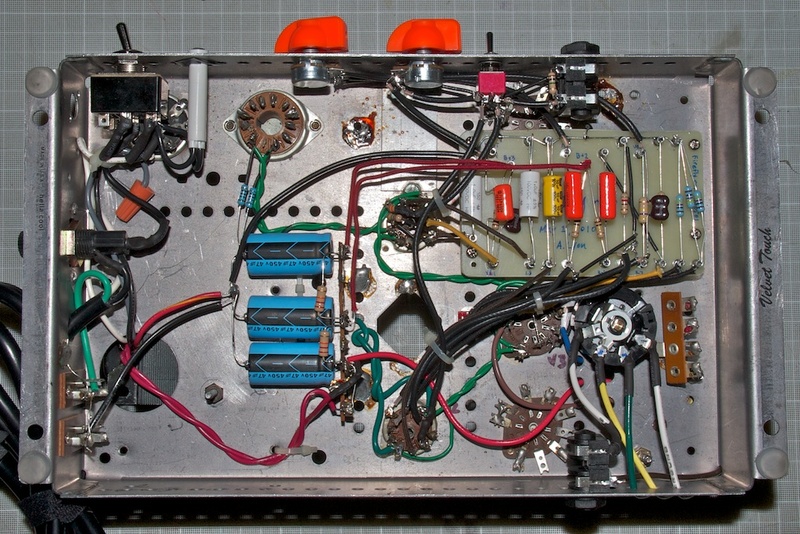 This was my first amp build from scratch. 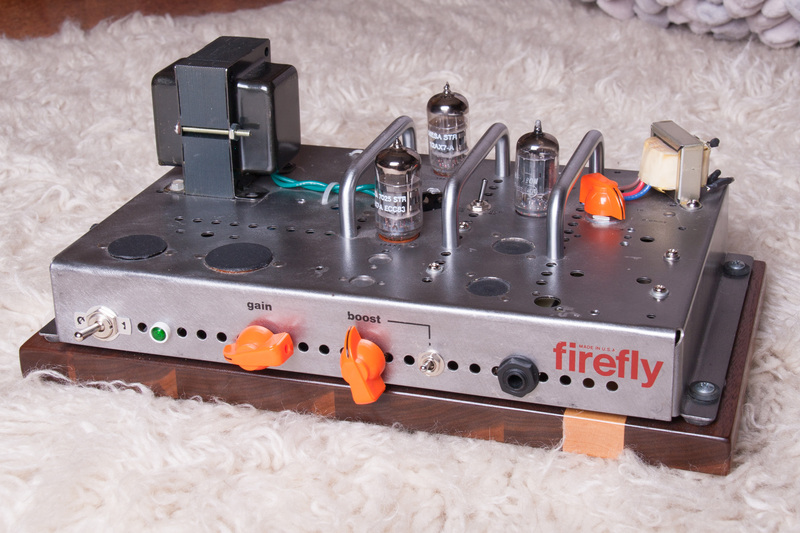 Based on the one-watt Firefly design from ax84.com, this is a great practice and recording amp. 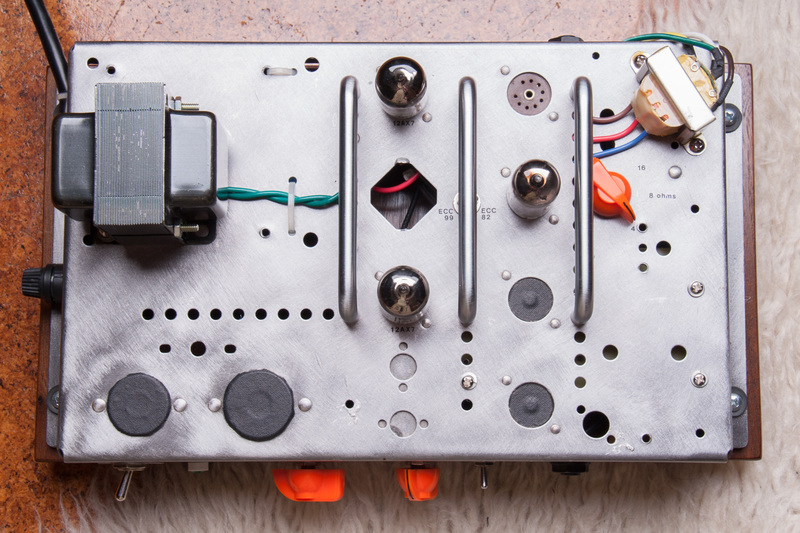 A Boost switch enables a second, cascaded stage, for a surprising amount of gain. 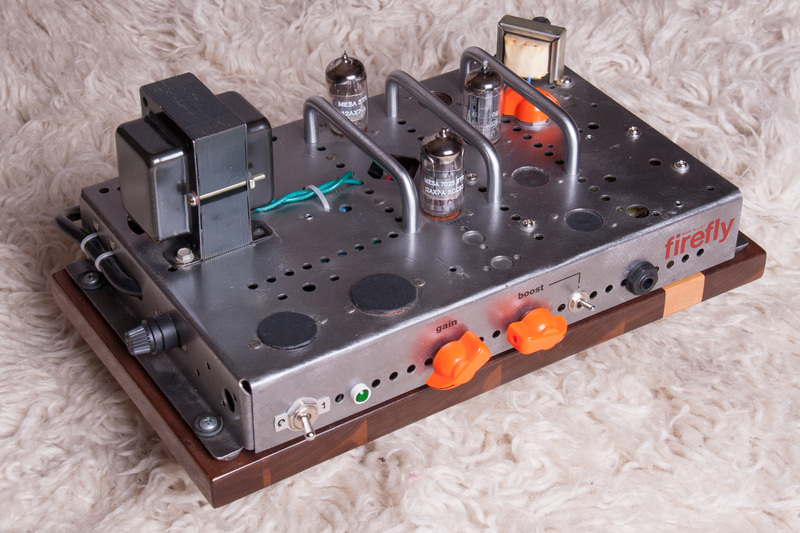 Powered by a pair of Mesa Boogie 12AX7s and a vintage RCA 12AU7. Features a hand-made walnut and maple hardwood base.